Like any respectable high school aspiring goth in a place where goths weren’t really a thing, I spent a lot of time in cemeteries in my teen years. This was definitely enabled by having an open campus, thus allowing me to waft off to the cemetery on a cloud of black at every opportunity, when I wasn’t sitting on the headlands and staring moodily into the sea. Cemetery brooding can be immensely satisfying — I recommend it, if you never started or you haven’t done it lately. Cemeteries, generally, are immensely peaceful places. No one living seems to want to spend much time there, so at most, the groundskeeper will be puttering about, but otherwise it’s just you and the dead. I got to know the various headstones well, and the mood of the cemetery. When new occupants arrived, I watched the flowers and stones and oddments stack up for a few months and then dwindle back down to nothing, except on major anniversaries. I watched the headstones from the late 1800s slowly get swallowed up by weeds because their people were long come and gone. And every now and then, I happened upon a funeral. Even my inquisitive nature has limits, so usually I’d bail to another corner of the cemetery until they were done out of respect, and because there were always a lot of corners to hide in, like the cozy nook by the sad array of baby graves, crooked headstones and metal tags for families who hadn’t bothered, or couldn’t afford, to put in a proper headstone. I’d listen to the hurried proceedings and watch them lower the coffin into the earth, usually long after the celebrants left, and go about getting the vault squared away and all that sort of thing. I thought about death in my youth in that obsessive way that people struggling with depression do, and consequently I planned out elaborate funerals for myself, complete with playlists. (Prince was a recurring guest star.) Sometimes I thought I ought to have a funeral while I was still alive, thinking of that scene in Empire Records. And when I went to college and discovered Jessica Mitford, Elizabeth Kübler-Ross, and the wide world of a nascent death positivity culture, it shifted the way I thought, and talked about, death. I lost a lot of people in my youth, for a variety of reasons, and I attended all manner of funerals and memorials and celebrations of life. I attended wakes where we laid out the body and partied until we felt like throwing it in the back of the pickup and driving it on down to the crematorium. I attended formal funerals where the body sat, a creepy waxwork figure, in the front of the room. I attended funerals where we drew on handmade coffins and lowered them into the ground ourselves and I attended cold, sterile funerals with bright, glossy coffins. I threw ashes off all manner of things and took ashes home in all manners of containers. It was only later that I came to understand that this was a little bit unusual for American death culture, and why I was so delighted to see death positivity slowly but steadily bursting out into the world. Because the thing about death is that it’s coming for you either way. That’s not really up for negotiation. The question is how you’re going to meet death, and so many people seem terrified of talking about this, and they shouldn’t be. The thing that makes death scary is that it’s unknown. That people don’t know what to expect. They don’t know about the stages of dying and the strange sounds dead bodies make. They don’t know that you can be macabre and funny and ridiculous even as people are dying. They don’t know about the options available to them when it comes to what happens with the body. And they shy away from those discussions, which means that when things get down to brass tacks, people are frozen. They don’t know what to do. They don’t know how to make the health care decisions that will facilitate the death they want. They don’t know what to do for a funeral and end up racing into decisions that they regret later, or allowing themselves to be steamrollered. A funeral is a big decision! It can also be an expensive one, depending on how it’s done. Would you buy a car by proceeding backwards into a dealership and paying top price for the first thing you bumped into? No? Then why die that way? Death can pop by at any time, so it behooves us to have advance directives at any age. To really sit down with the people who will act on them to discuss what we want, not in the abstract, but in the solid. No medical intervention at all? What about in this situation? Or that one? Every possible measure should be taken? But what if…or what about? Be firm with people and yourself. What kind of life do you want to live? What kind of death do you want to have? This doesn’t mean bailing, throwing in the towel, and asking to be hauled out back and dumped in a pit at the slightest provocation. But you should be thinking about what you are willing to live with and why you draw boundaries where you do. And you should be thinking about whether you want to die in a hospital, or at home. If you’re in a severe accident and you are categorically brain dead, what do you want to happen? Who do you want to make decisions if you cannot? And what do you want to happen to your body? Funerals are for the living, but also, you’re kind of the guest of honour, and you do get some say, here. Maybe you want to donate your body to medicine, or science. There’s a specific pathway there that has to be preserved, and if you want friends and family to be able to say goodbye, you need to discuss that with the school or institution you donate yourself to. Maybe you want to be buried, or cremated, or subjected to some cool new way of handling dead bodies, or a very ancient one that’s not in widespread use. Maybe you want to be cared for at home. Maybe you want to go to a funeral home. Maybe you don’t want to be embalmed. Maybe you want a shroud instead of a coffin. What happens if you die many states or half a world away? Does that change your plans? These are things we need to be thinking about — though maybe not in silver ink on your black notebook with a figure of the reaper on it, but if that’s how you want to roll, fantastic. You need to know ahead of time so you can plan ahead of time. 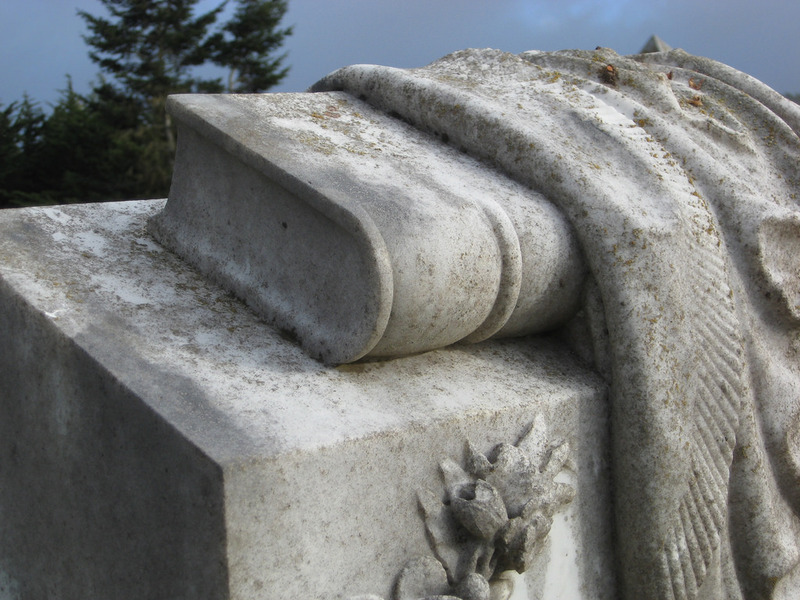 Will your cemetery do burials without vaults? Is there a cemetery that does green or natural burial in your area? What are the laws around handling your own funerals? You don’t want people scrambling to figure this out after you die. Instead, have a handy little document outlining what you want and how it will work. Talk to people. Make sure they are comfortable with what you are asking them to do. Death is only scary because we have attempted to seal ourselves off from it, as though this will magically protect us. Untangle your crossed arms. Open your mind. Invite the reaper in for tea.